Avenue of the Baobabs is one of those iconic places that you may have seen photos of, but you possibly don’t know where precisely it is located or how to reach there. Even though it probably is on top of your bucket list. 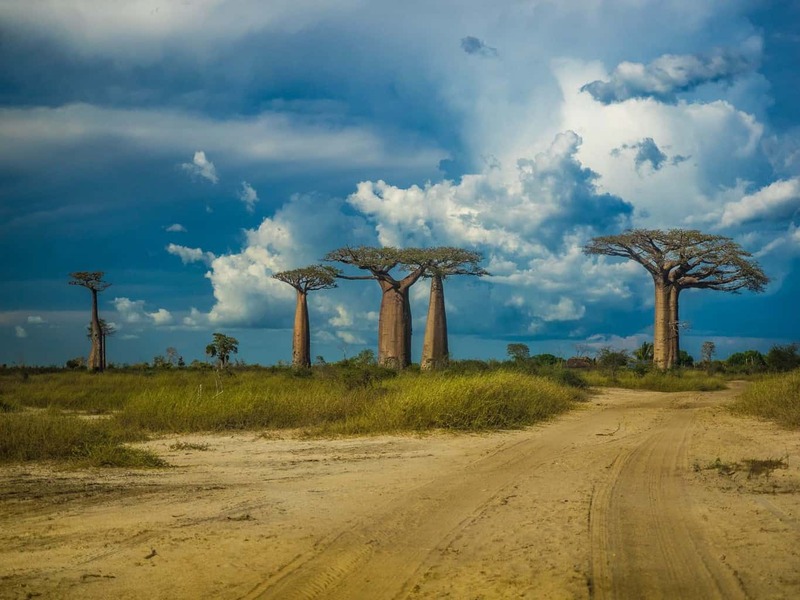 The Avenue of the Baobabs is a group of Baobab trees lining a dirt road but a national highway (Route Nationale N8) between Morondava and Belon’i Tsiribihina in western Madagascar. The baobab trees can live up to be 800 years old. It originally stood in a dense tropical forest in the area. But gone are the days of a dense tropical forest. The current scenario is completely different. 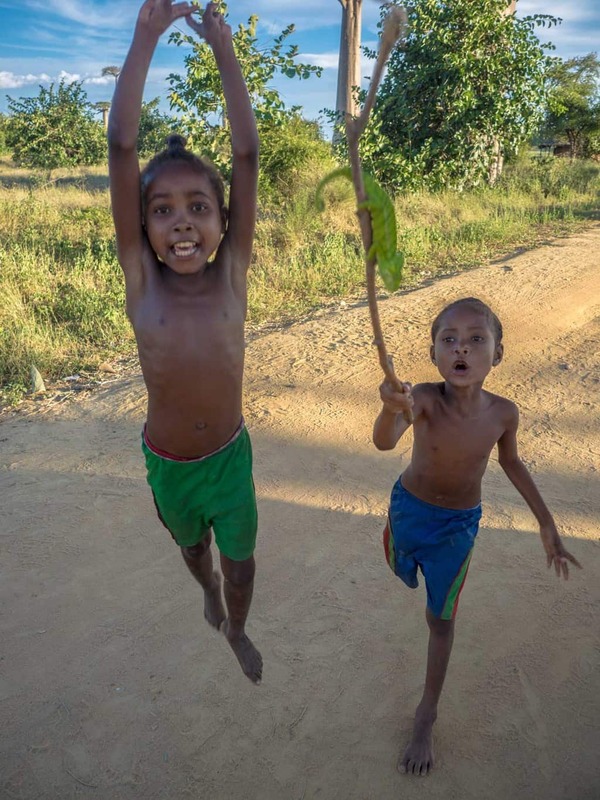 Deforestation is a big problem in Madagascar. 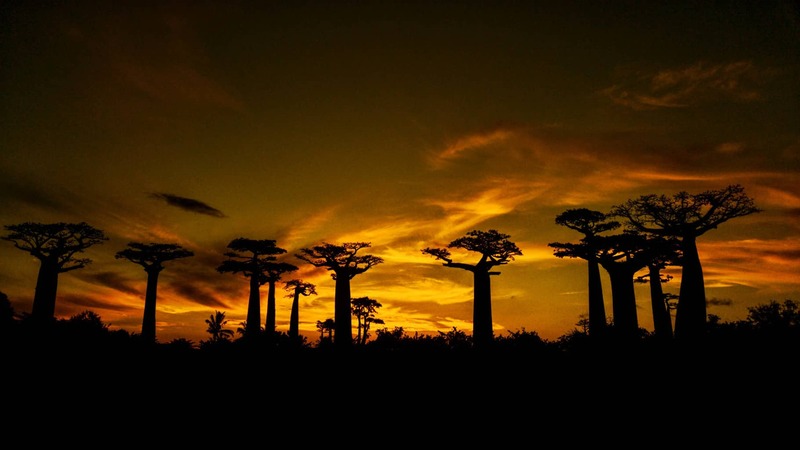 About 50% of Madagascar´s forest documented in the year 1950 was gone in 2000. Every year around 37,000 hectares of forest distemper from illegal logging and slash & burn agriculture. More and more of the forest around Morondova has been cleared for agriculture to help the growing population in the area. Hence, one of the main reason that the once dense Baobab forest is gone is that the roots of the tree can handle the constantly waterlogged soil well as compared to few other trees in the area that soak up the rainwater. 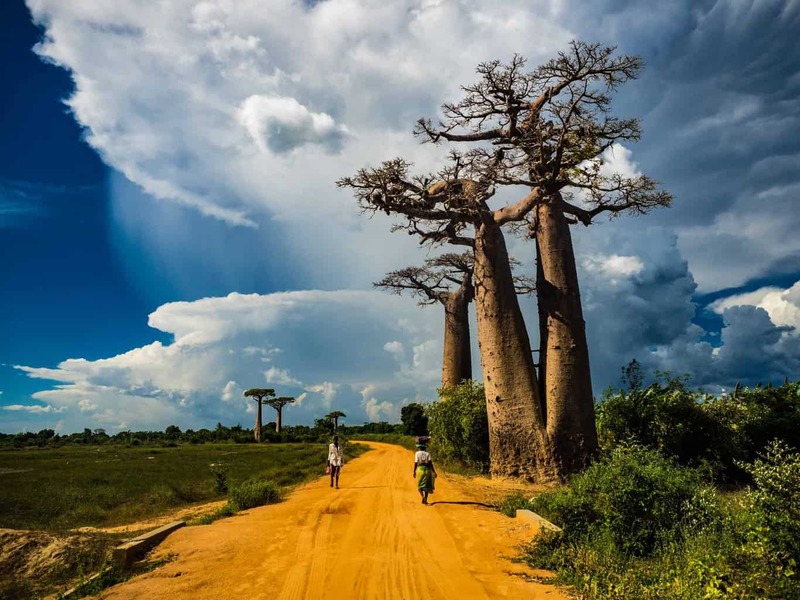 Another reason is that every year some of the Baobabs are hit by lightning and also from the cyclones that hit’s the west coast of Madagascar every year. You will see your first baobab just a few minutes after you enter the road from Morondava to Belon’i Tsiribihina, but it will take around 30 minutes to reach the Avenue. The Avenue of the Baobabs itself is only around 260m long with no more than 25 trees standing about 30 tall. The only way to reach the Avenue of the Baobabs from Morondova is by hiring a taxi in case if you’re not travelling a pre-arranged tour like most (all) of the tourists that will show up for sunset. But if you arrive there around 3 pm, you will have the entire place for yourself for a few hours. The avenue before the big tourist’s groups arrives. The Avenue is a national road in Madagascar and used by locals all the time. If you arrive early, then you will get surrounded by the local kids holding small cute chameleons as a hostage and demand money from you to take photos of the small cute reptile. There´s also a small tourist information centre with information about the place, the information is pretty squares, but they do sell cold drinks including beer and also have a nice sitting area where you can enjoy the view over the area. Before you head back to take some stunning photos of the sunset. The Avenue of the Baobabs has become such a popular tourist hotspot that the locals are now charging a small parking fee for your taxi (2000 Ariary) to be allowed to park there. You will also have to pay the parking fee at Baobab Amoureux. 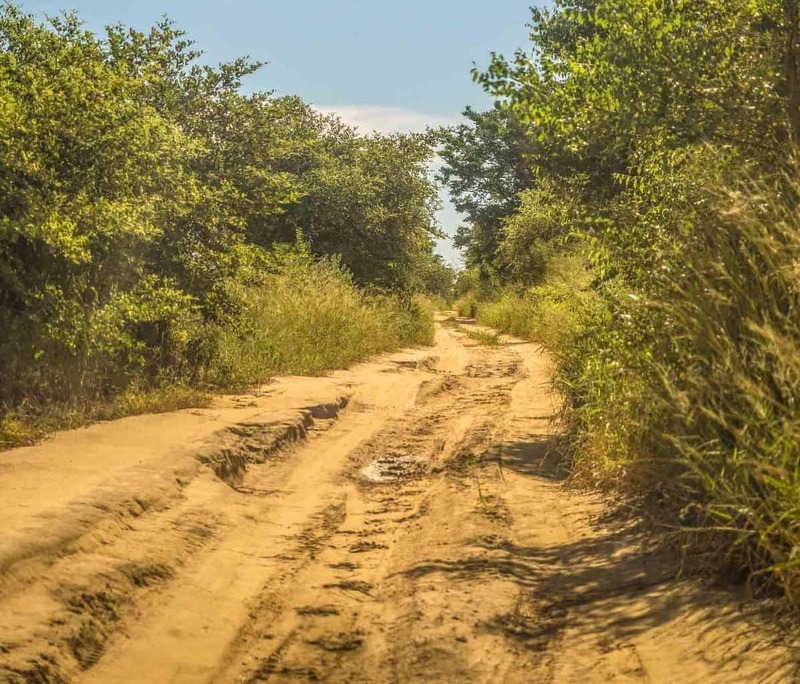 Another 7km and 30min on an even bumpier road further to the north-west are where the other famous Baobab site is located – the famous Baobab Amoureux also called the Baobabs of love, the two Baobabs that are twisted together, is located. But be sure to tell your taxi driver to take you to the Avenue of Baobabs and Baobabs of love as well. I met a few tourists who were disappointed as they missed the Baobabs of love. There´s NO guesthouse or hotel located on the site, so the only way to visit the avenue is by doing a trip from Morondova, Belon’i Tsiribihina or when leaving/entering Tsingy National Park. 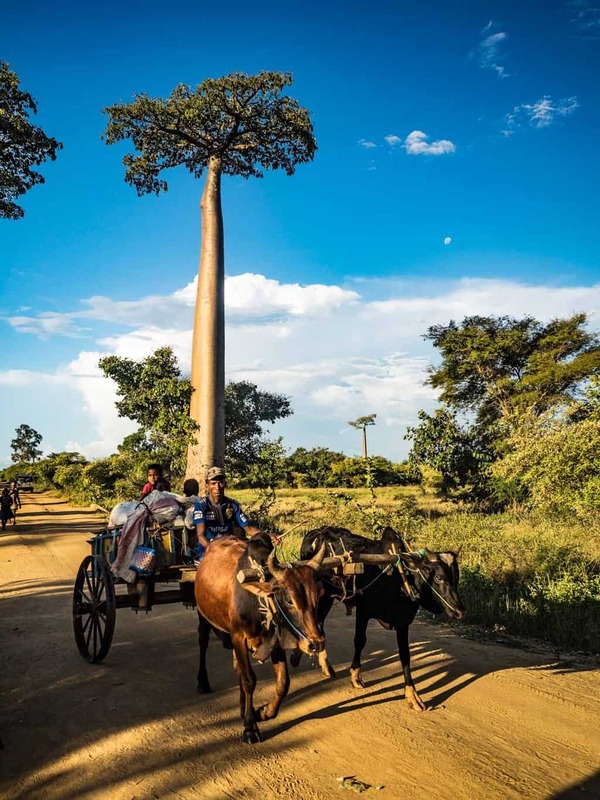 A taxi between Morondova and The Avenue of the Baobabs will cost you 50,000 Ariary for a return trip, with the driver waiting for you after the sunset. 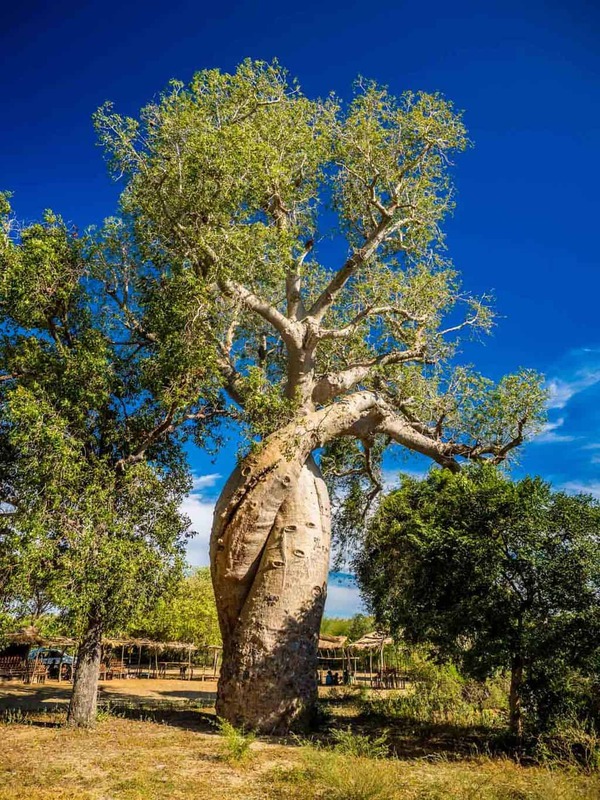 If you also want to visit the Baobab Amoureux, it will cost you an additional 20,000 Ariary. The 2,000 Ariary parking fee at both the sites are extra. 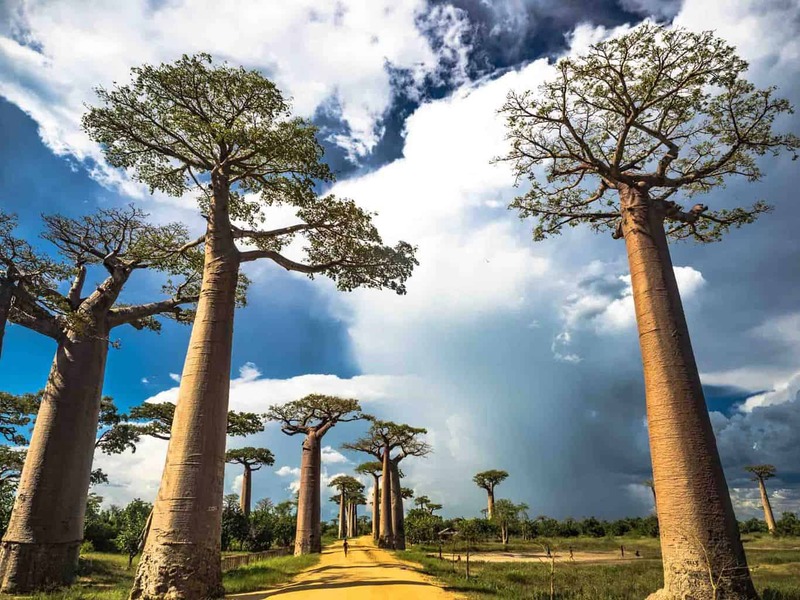 Additional Information about Avenue of the Baobabs and Morondova. Morondova is located on the west coast of Madagascar, 660KM from Antananarivo the capital of the country. The trip between the two cities took me 12 hours with Cotisse Transport (45, 000 Ariary) and 18 hours back to Antananarivo with a local Taxi-brousse. 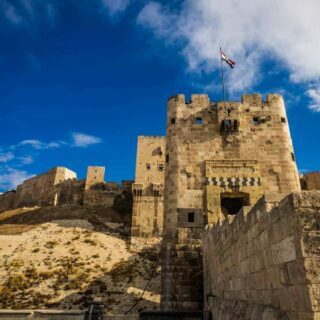 The information in Lonely Planet and online platforms says that the trip should take around 9hour. That’s not gonna happen. There´s only 1 Cotisse Transport minibus a day between the two cities. It leaves Antananarivo at 7 am, and it´s important to book the ticket in advance. A return from Morondova at 5.30 am the next morning also needed to book in advance. I had to take a local Taxi-brousee (20,000 Ariary) back to the capital because Cotisse was fully booked for four days! Morondova can be split into two parts, the city part where the bus station, shops, market and all ATM´s and banks are located, and the beach part of town with most hotels/guesthouses and restaurants are located. The walk between the two parts of town takes around 10-15min. The beach part of the town is popular with older European expats living there with their local girlfriends. The beach part is the place to stay if you are planning to stay in Morondova for a few days. The hotels here are more expensive than the city but of much better quality. What I stayed at Hôtel Menabe which is located right next to the big Mosque in the city. The Hotel offer rooms from 18,000 – 35,000 Ariary. The cheapest rooms are not more than a “shoebox” with its own tiny bathroom. Only Fan and extremely slow free Wifi. While the more expensive rooms (where I stayed) has a big double bed, clean western style bathroom, and a big balcony. It is popular with Japanese backpackers. Gorgeous images & great information! 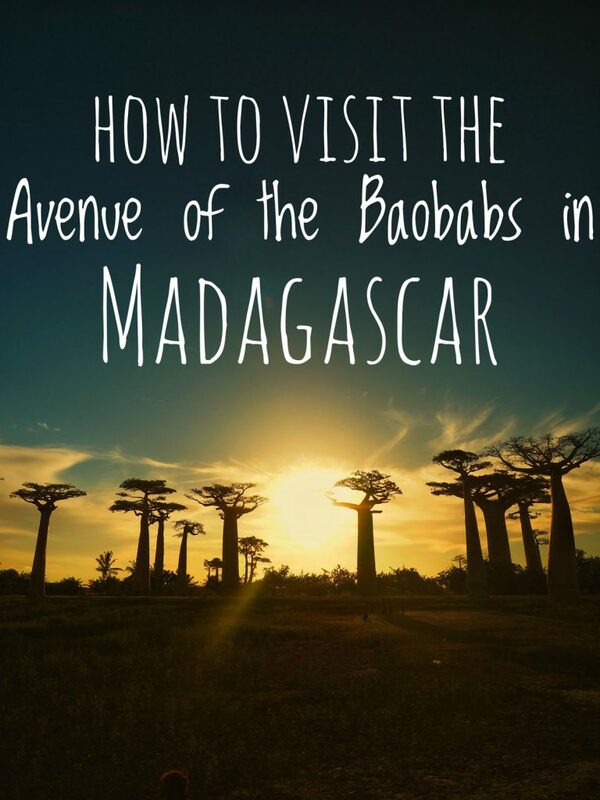 The Avenue of Baobabs is definitely high on our bucket list – what an awesome destination!